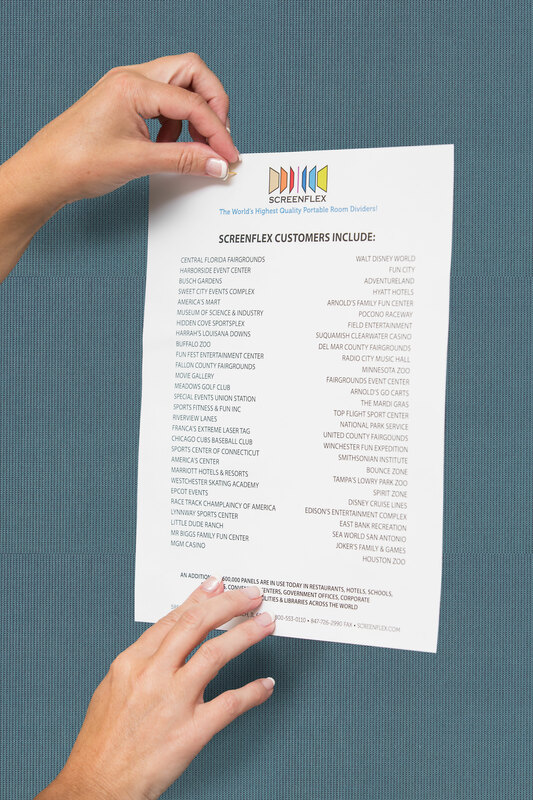 Please click and invest eight seconds to view the amazing versatility of Screenflex dividers! Overcome the challenge of how to handle distractions in the classrooms with Screenflex Study Carrels. 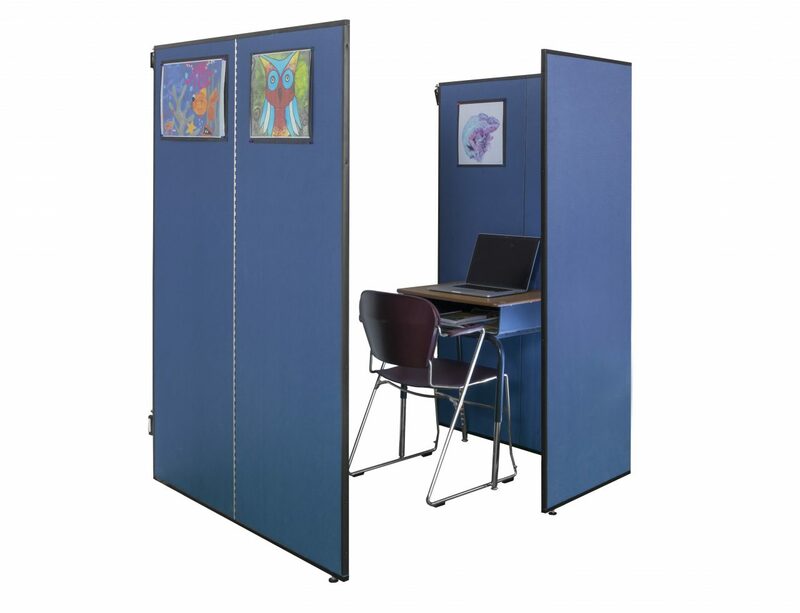 These wall mounted portable walls create student-centered areas for creative minds to thrive. 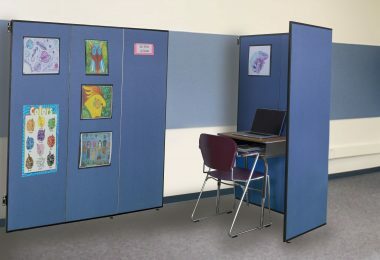 Whether used for individualized instruction, student support services, or test modifications, these sound absorbing walls are sure to provide the student with the privacy they require. Use tacks, pins or staples to display student artwork, lessons, or useful information to the tackable walls. 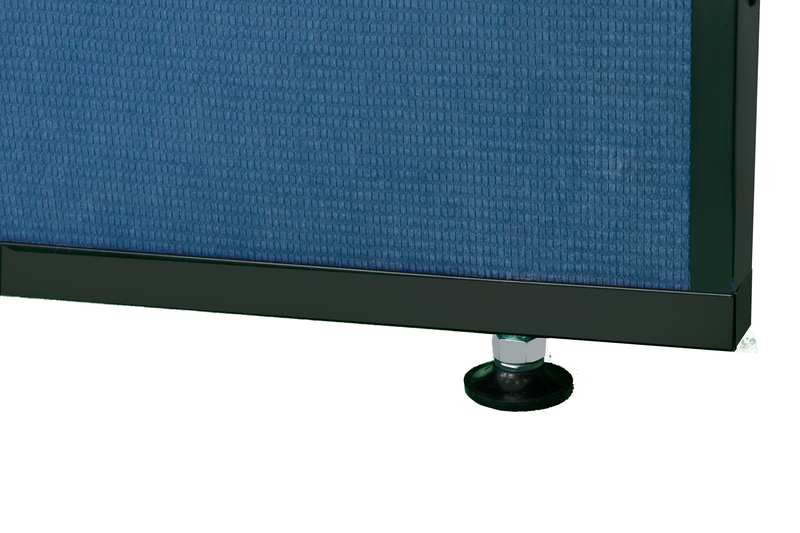 Just how does Screenflex wall mounted Study Carrels create a quieter learning environment? 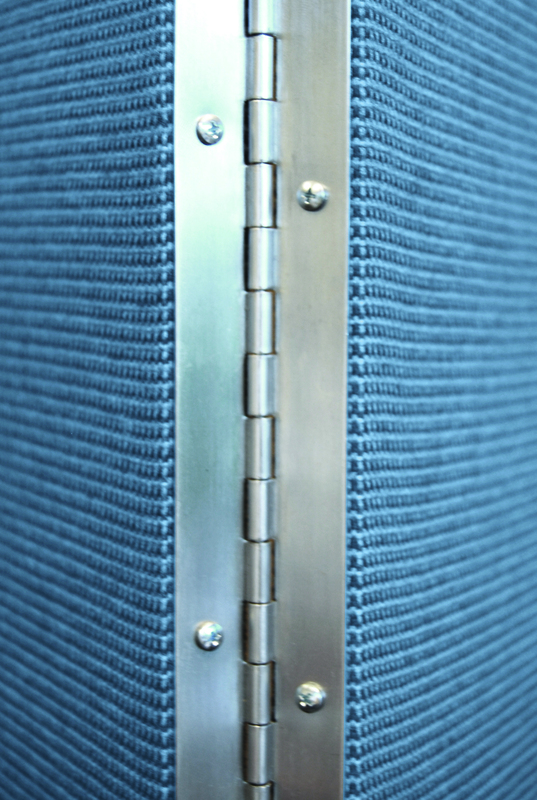 Screenflex Study Carrels are made from a sturdy cardboard honeycomb core, then covered by two layers of environmentally friendly fiberglass insulation on each side of the panel. 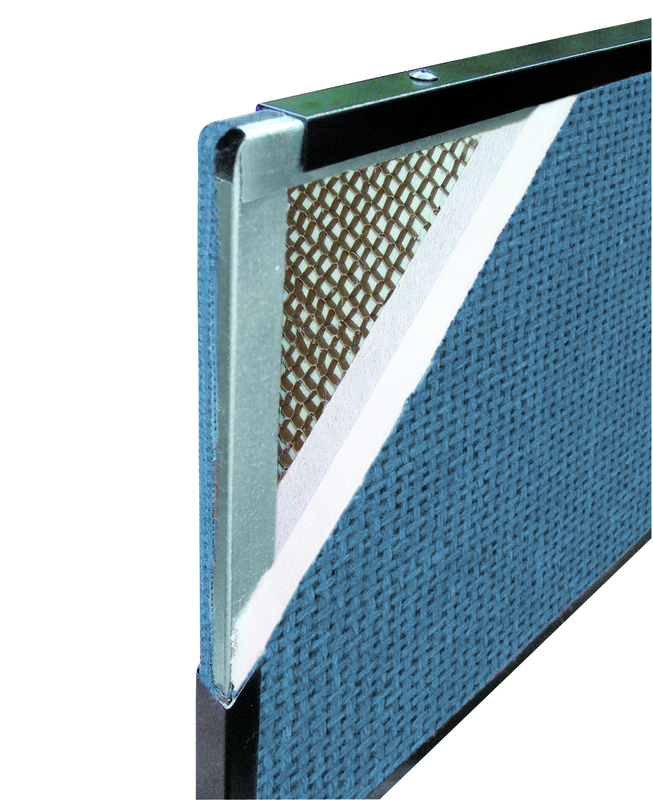 The fiberglass insulation is then wrapped in one of our 76% recycled polyester fabric color choices. 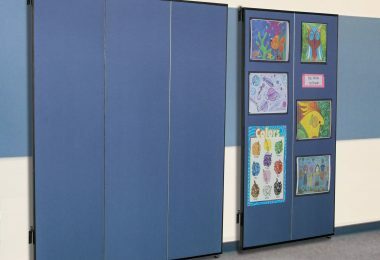 This propriety design improves classroom acoustics while providing a bulletin board display surface. 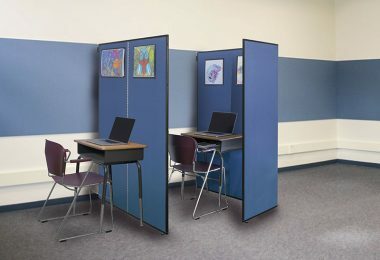 The panels smoothly transition from flat against the wall, extended into the classroom, or an L-shape by pivoting 180 degrees on our unique wall hinge. 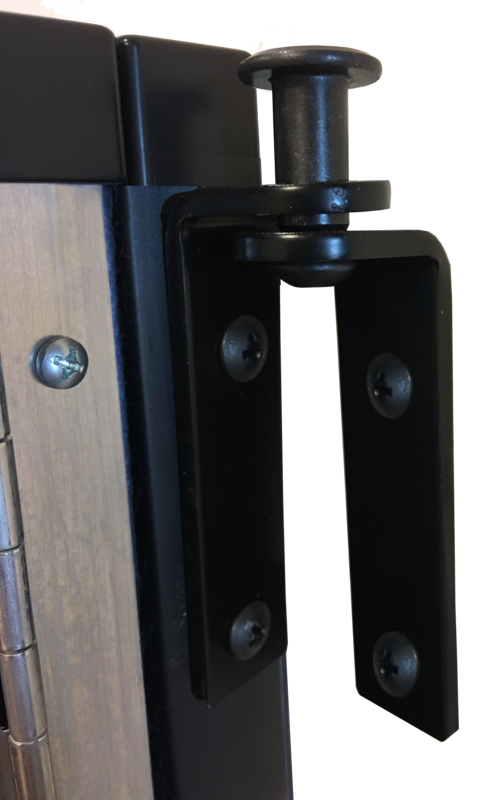 The sturdy room divider panels are manufactured with manually adjustable glides that can be adjusted to create a level and temporary wall. 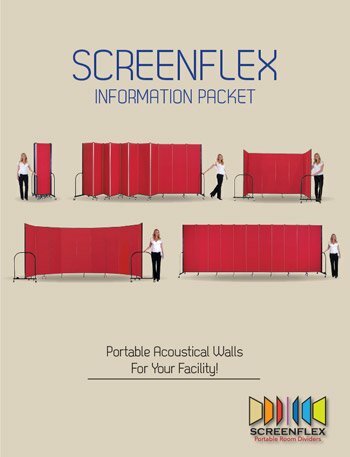 For most room divider needs we suggest our best-selling Standard Screenflex Room Divider. Study Carrels fold flat against the wall to the left or right depending on the orientation chosen when ordering.